One week gone and one to go....of our Spring Break! I can finally relax, sleep in, and catch up with my house work as well my school work....yeah right! Well, a girl can dream....ahhh! The week before going on break was my birthday and one of my students - on the same day! 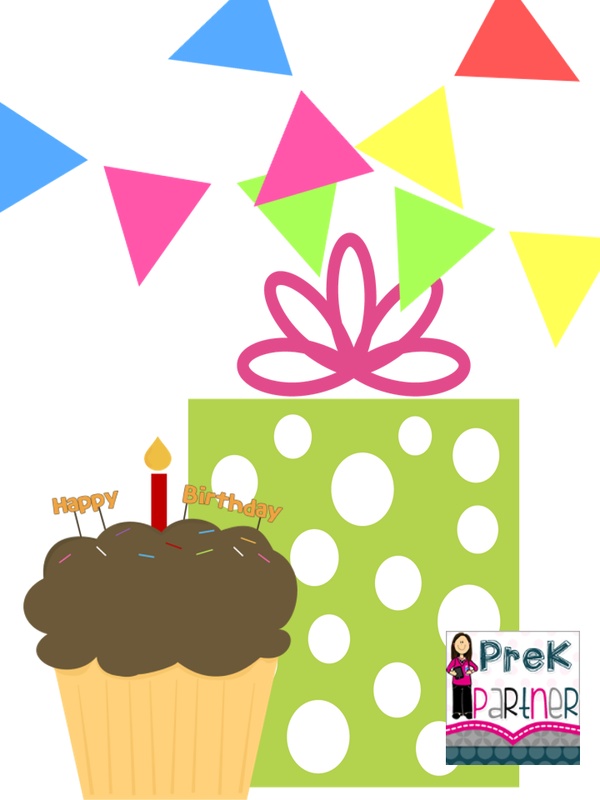 I was not anticipating anything special in the classroom, maybe a treat, sing happy birthday and go on with our day. To my surprise, our school secretary calls me to inform me that our principal was on his way to our classroom to show us a safety video. At that moment, our kiddos were playing at the centers when I received this call - so I had a little heart attached right there! We broke record that day with our cleaning up time - in less than 5 minutes the room looked impeccable! The principal walks in along with the IT guy, and set up all of their gadgets. And this is when I realized it was not a safety video. It was an amazing collection of videos and pictures one of my room moms had made for me for my birthday. I was just surprised that she involved so many people to celebrate this important day for me, and I am so grateful for that! Tears began to come out and lots of ooohhh's and awww's! Then some parents walked in with these yummy cupcakes! At that moment, all I could think of was about our district's wellness policy, which means only healthy snacks for special occasions and no cupcakes. But, my room moms are very smart, they have asked about the cupcakes and they got their ok'd. I will never forget this amazing day!